Is it just me or does Christmas come earlier every year? No matter how much time you spend getting your home ready for your entire family they always end up in the kitchen. The real question is, is your kitchen ready for the holiday marathon? 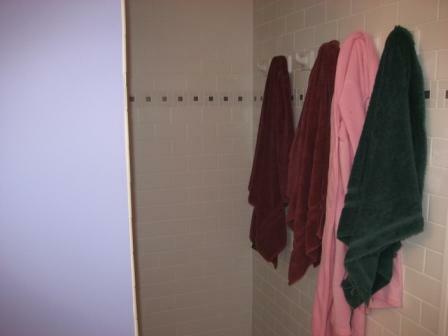 Believe it or not, now is the time to think about remodeling for the holidays. Get that outdated room dressed to impress the in-laws. 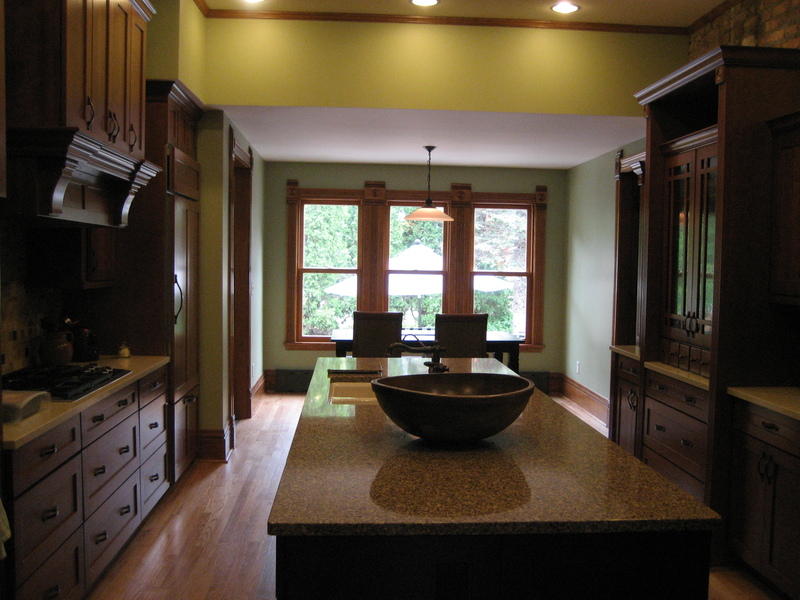 Here is a great example of a kitchen we just finished on 3rd St. in Northfield. We winding down to the end of our kitchen remodel on 3rd St. There are a few finishing touches left but here is the latest update. The painting is done, the tile backsplash is in, and we’re waiting on glass to be installed on a few doors. 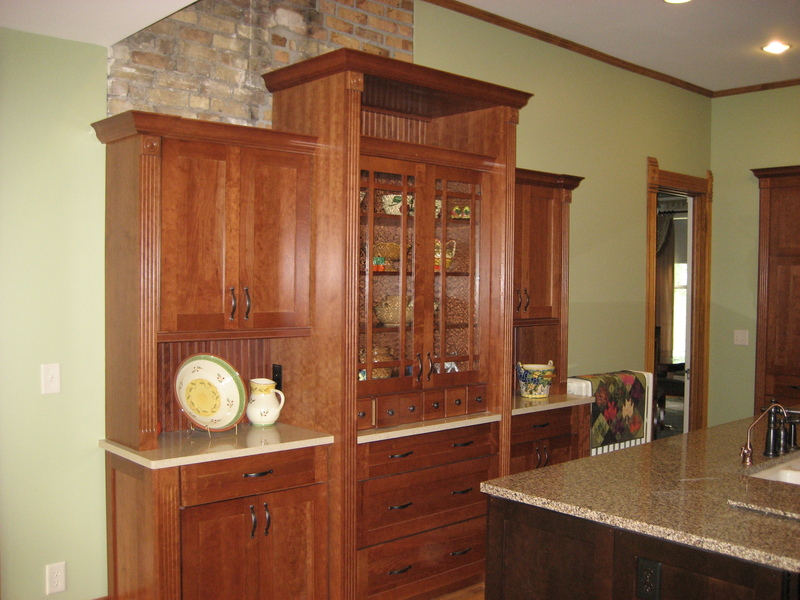 The homeowner selected Wellborn Premier Series cabinets in cherry. 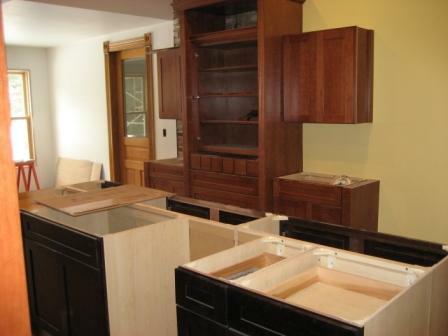 The permeter cabinets are in cherry light and the island is espresso. 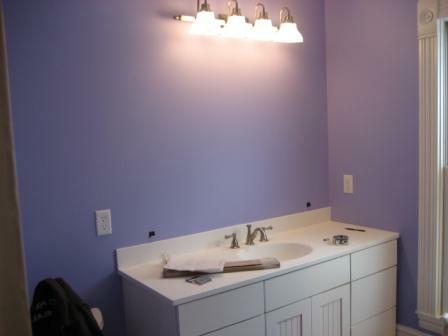 We put in Cambria countertops, a Kohler sink, and a Delta faucet. The homeowners were really concerned about keeping the kitchen looking Victorian as much as possible with a hint of the modern. We brought in some decorative elements the mimicked their original trim around the doors and windows and kept the colors some in keeping with the 1880s. 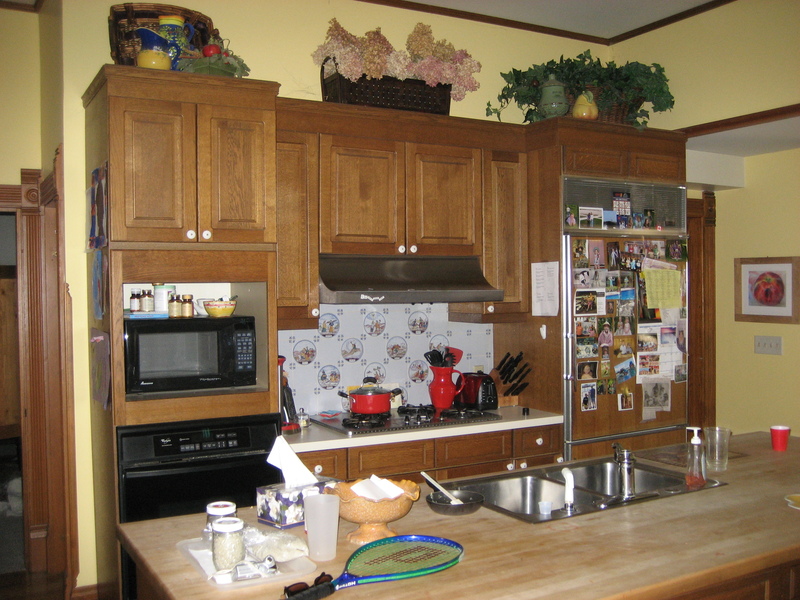 The major change that we made was enlarging the length of the kitchen. The island is 12″ longer then the old one and the new Sub-Zero refrigerator is now where the doorway was. They now have more storage space and landing room framing the cook-top. We also took advantage of the 13′ tall ceilings by adding the mantel soffit hood about the cook-top. The tall box brings your eye right up to the ceiling. 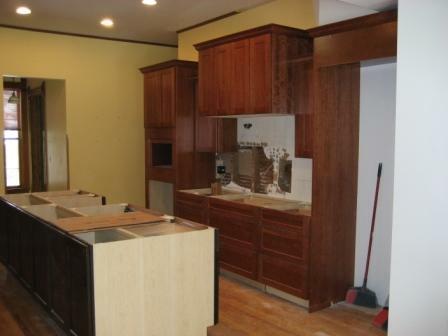 We are heading into the final stretch at our 3rd St. kitchen remodel. 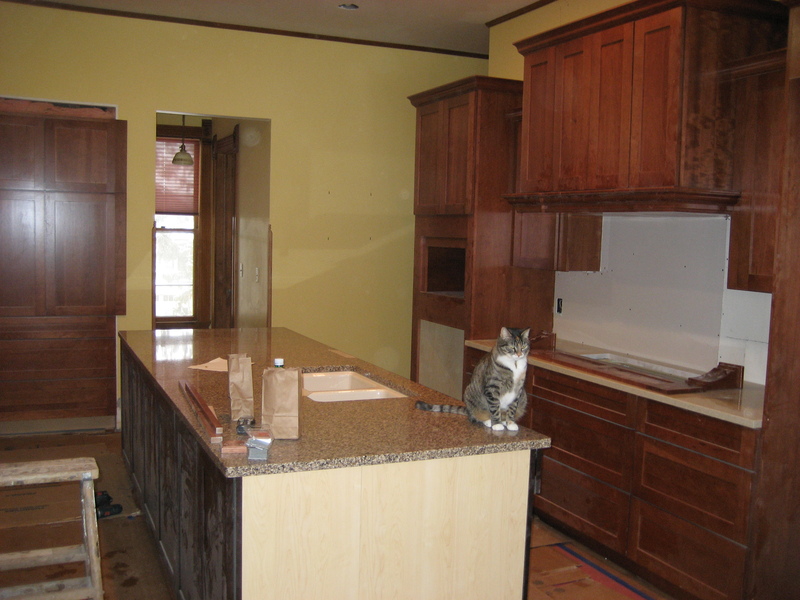 This week the counter tops were installed and the cabinets are getting finished up. 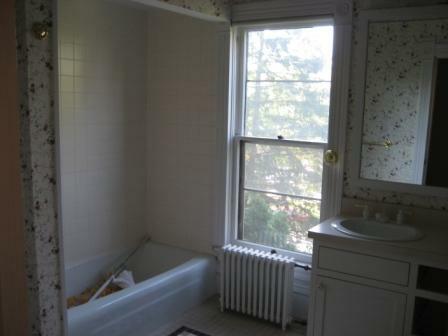 They are currently working on finishing the plumbing and installing the appliances. Next week is painting and then the tile backsplash! I found this article at Qualified Remodeler about the swing in the housing market from building new homes to remodeling. 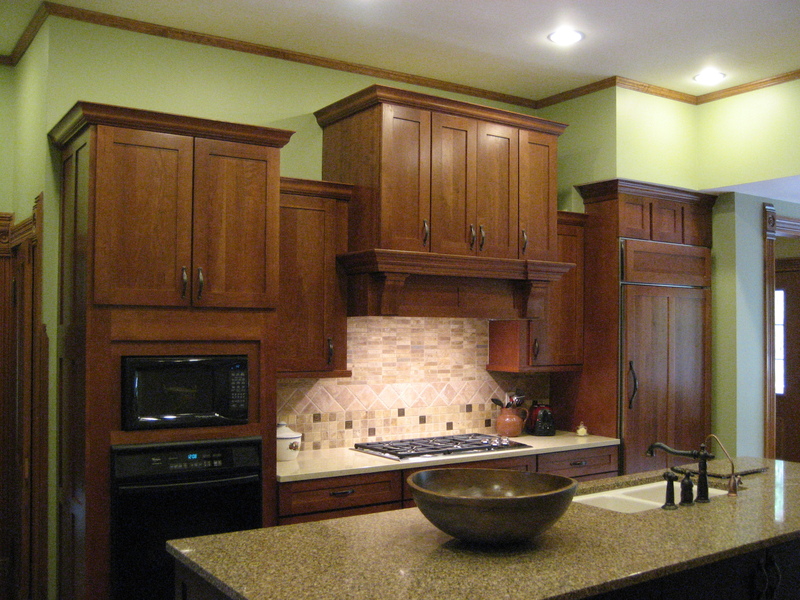 From what we at Schmidt Homes Remodeling are seeing in the past 18 months remodeling is way up. 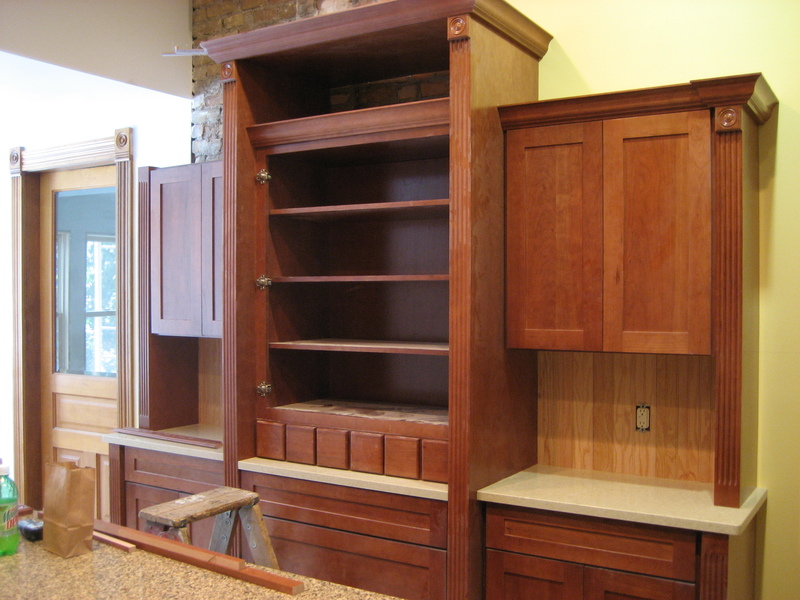 From kitchen updates to major additions to finishing a basement we’ve done it all. 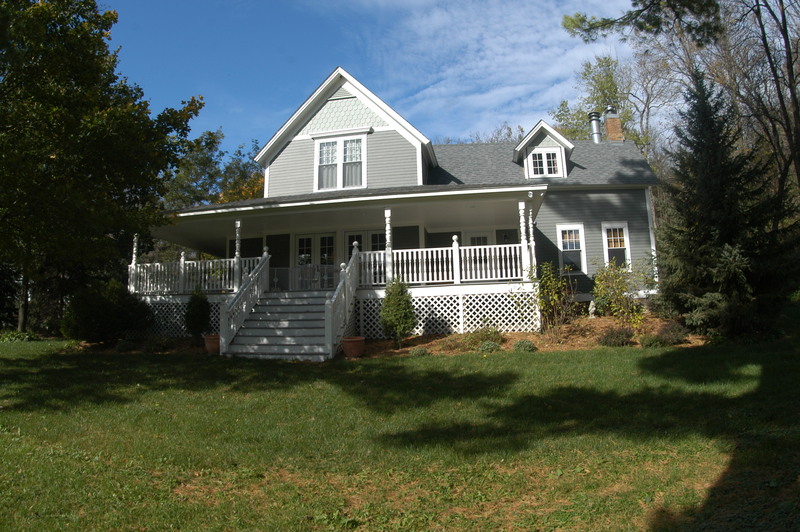 This particular remodeling job was located in the country and we did changed the whole look of the exterior of the home. A front porch was added, we replaced the siding with cement board siding, we even found period accurate posts for the porch! 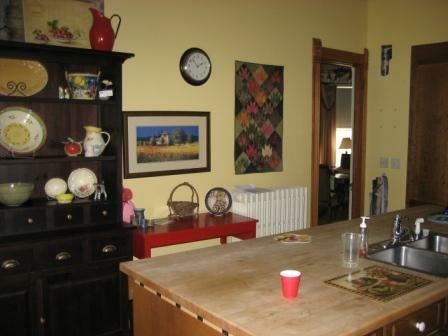 Then we went inside and remodeled the kitchen, dinning room, and living room. We rearranged the set up of the rooms and had custom cabinets made. I’m not kidding these really are same homes. 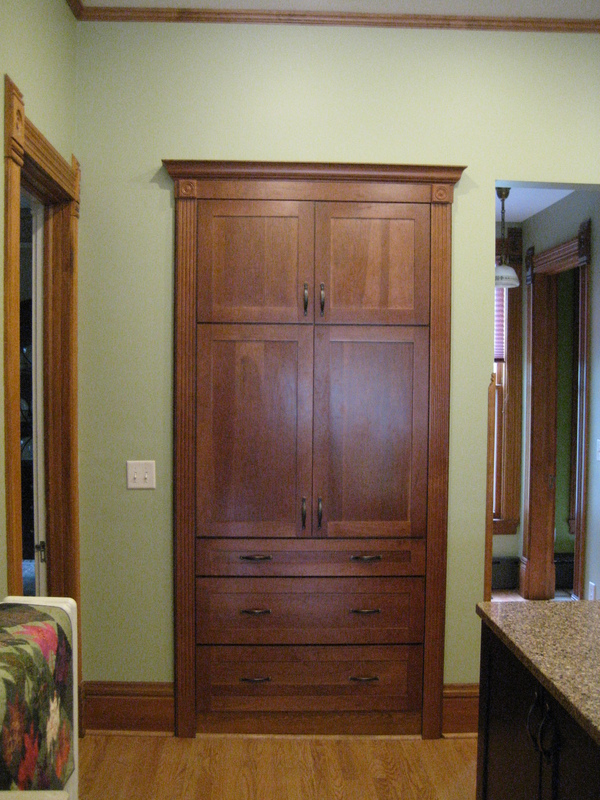 This home was featured in Midwest Home Magazine’s December remodeling issue. Look for our ads in the January issue and the upcoming April issue of Midwest Home. Maybe you have noticed all the activity on 3rd St. by the Northfield Library. 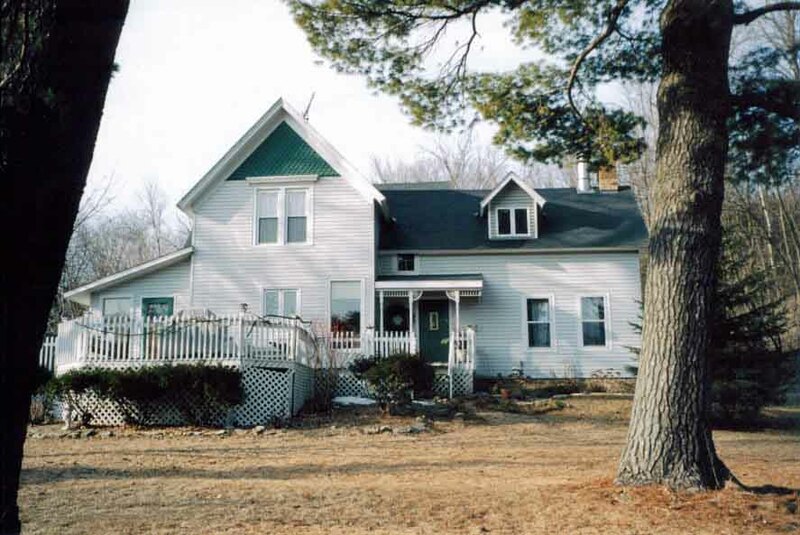 We are currently doing a major remodel at the home, including finishing the attic, renovating a bathroom, remodeling the kitchen, and a mud room addition. We are over half way done with the project. The attic has been operational for a month and the bathroom is being finished today. The kitchen and addition are still moving along. 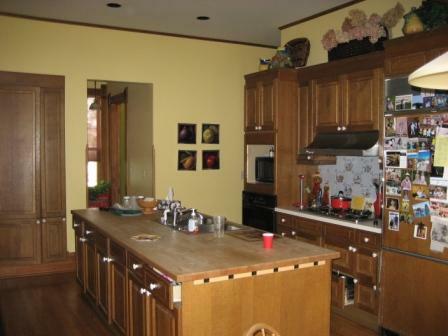 The kitchen remodel was a major project. We added onto the dinette and increased of the number cabinets. 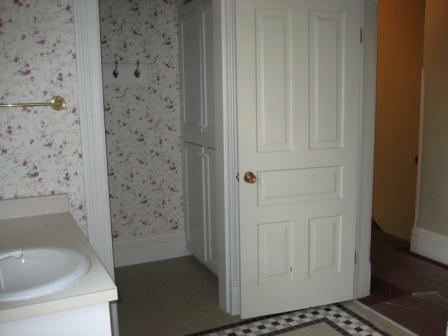 The homeowner will have more storage space. We are installing Wellborn Premier Series cabinets. 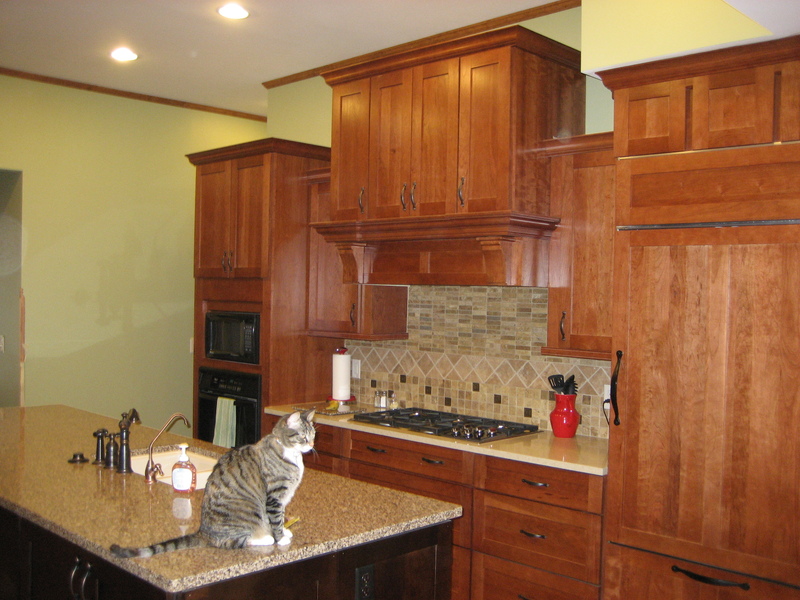 The client selected cherry cabinets in two stain colors. 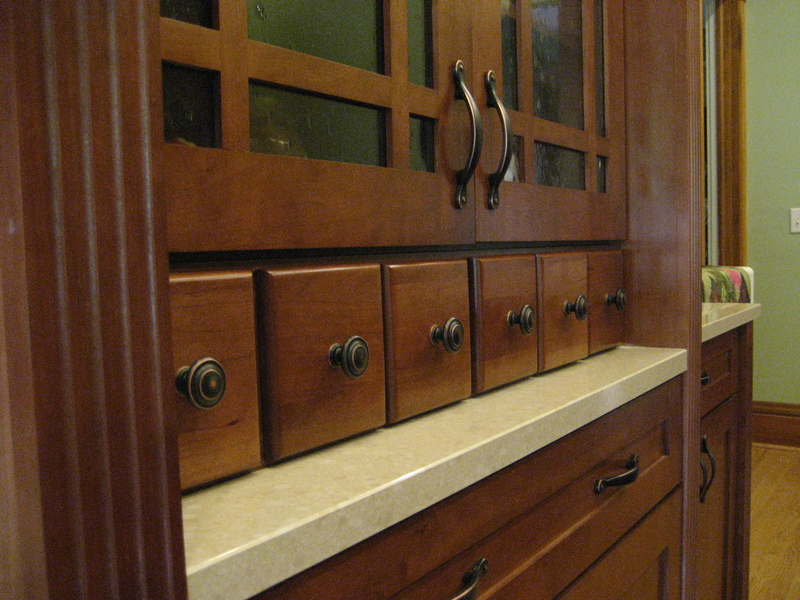 The island is a deep espresso and the perimeter cabinets a nice warm light stain. 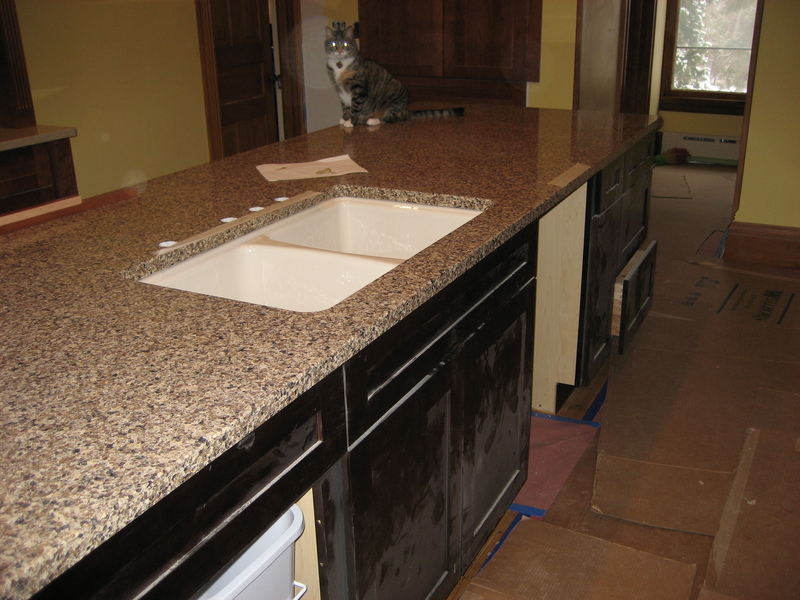 They are installing Cambria counter-tops, a Kohler under-mount sink, and a Delta faucet. 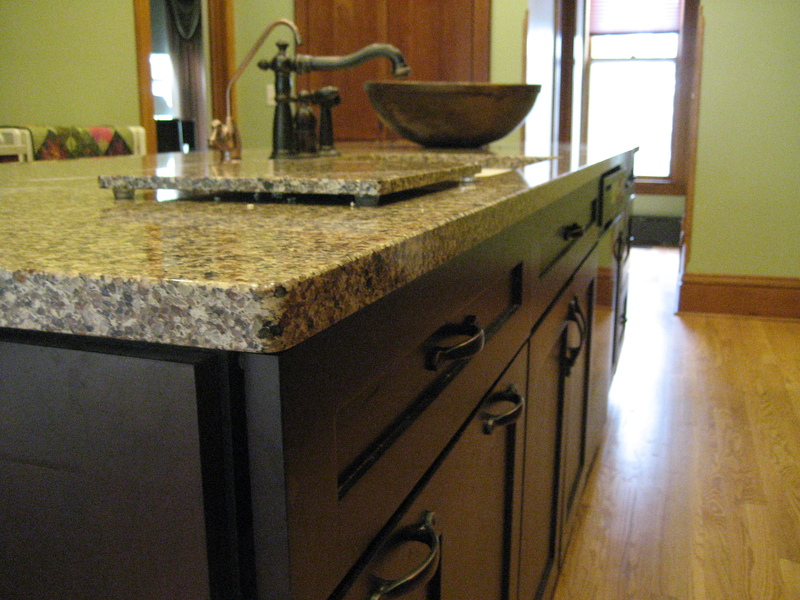 One of the major challenges that we faced in this kitchen face lift was finding the proper finishes for a Victorian home and yet still maintaining all the modern conveniences. Today the wood floor is being re-finished and next week the counter-tops will be installed and the plumbing fixtures. The appliances will be delivered this week, the refrigerator will have wood panels added to the doors. Stay tuned from more updates.